Come and join us for our first lecture of 2015! 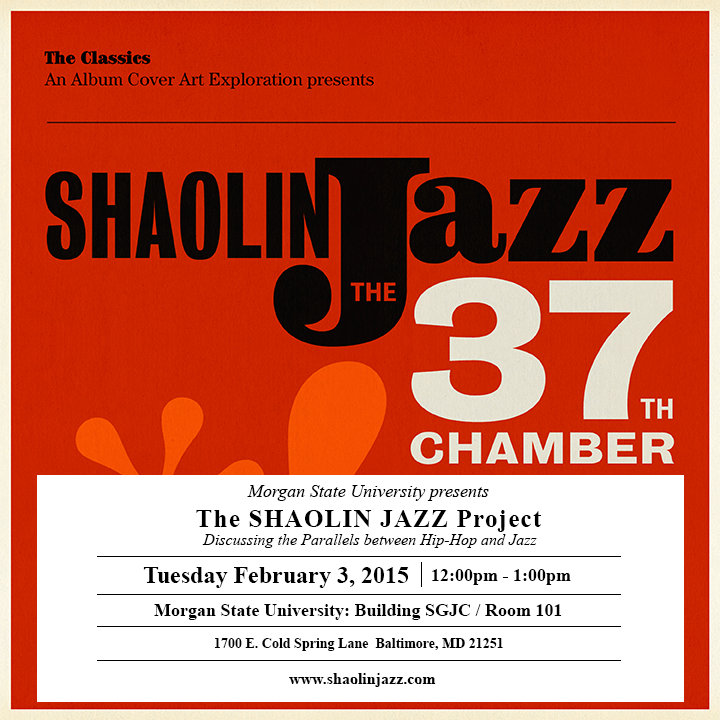 On Tuesday February 3rd we’ll be conducting our Multimedia Presentation at Morgan State University, courtesy of Dr. Jared Ball, where we’ll be discussing the parallels and similarities between Jazz culture and Hip-Hop culture. For additional info visit www.shaolinjaz.com.